Utility Services - St. Louis Engineering Firm | Thouvenot, Wade & Moerchen | TWM, Inc.
TWM’s Underground Utility Locating services employ a Spar 300 unit, which is a precise utility surveying system, to survey and map underground utilities. This new technology is much less cumbersome than traditional handheld locating equipment. The result is highly accurate data provided to our clients with efficiency. 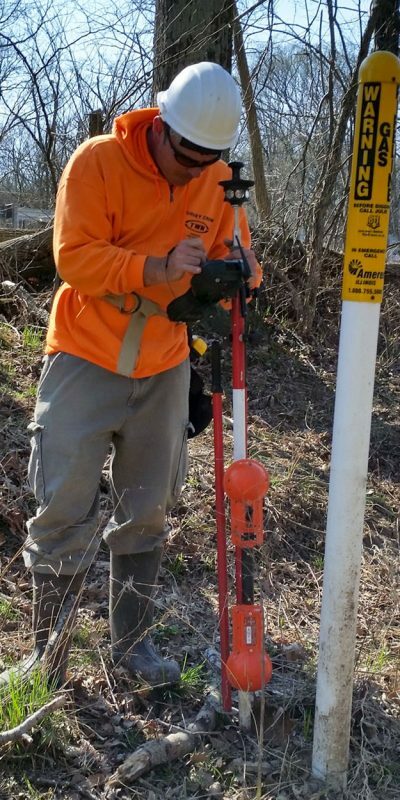 Typically mounted to a survey pole, our Spar 300 unit uses magnetic field sensors to measure the 3D vector to a subsurface utility. It then automatically combines this data with GNSS or other survey data to find the 3D coordinates of the utility. While distortion is an issue with any electromagnetic-based utility location measurement, the Spar 300 can measure the root-mean-square (RMS) error and depth from an offset position to improve accuracy. Our subsurface equipment is fully integrated with our existing Trimble survey technology, GNSS receivers and total stations. Bluetooth connection allows seamless operation for tasks such as monitoring a real-time map in the field. In complex situations – like when multiple utilities exist in the same right-of-way – the Spar 300 automatically flags these areas on the map so our technician can provide designers with actionable information regarding position accuracy. 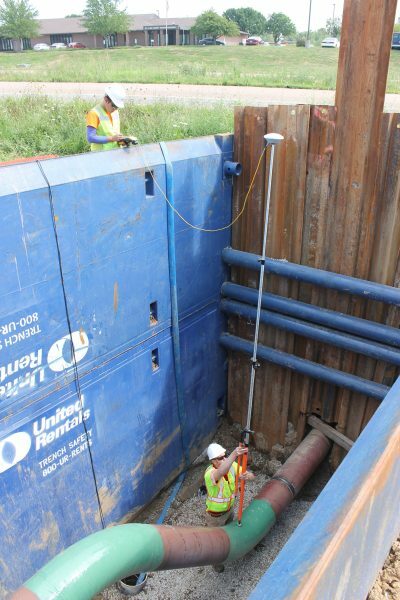 The device allows TWM’s technician to continuously log the utility depth and offset. The data is easily exportable to GIS, CAD or another application. By creating this digital record, TWM provides clients with long-term savings since they’ll have the data when needed for future repair or maintenance. TWM’s Spar 300 unit can operate in almost any position, even if it can’t be brought directly over the utility, because the system will apply all offsets and ensure logged points meet desired tolerances. It can even be used in conjunction with TWM’s camera-mounted robotic crawler in pipes, ductwork or other tight spaces. The crawler can perform sonde tracking to accomplish accurate positioning while also capturing video or still shot records of the space. Unlike conventional utility locating, this system allows us to always know the precision metrics of our activity. We can accommodate most any survey situation due to the Spar 300’s ability to measure the 3D vector from any point within its range. It is ideal for utilities within a radial range of 10 feet. However, TWM can use two Spar 300 units together to extend the range up to approximately 50 feet. 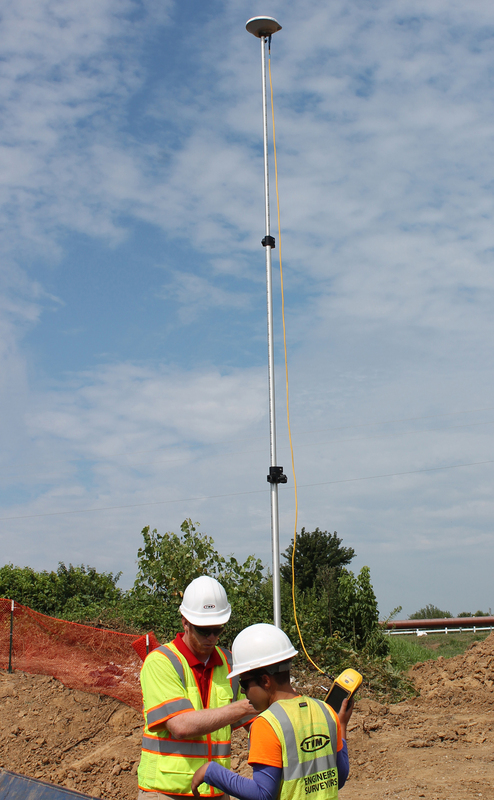 As a natural extension of TWM’s other geospatial services, the addition of underground utility locating allows us to provide clients with both below- and above-ground surveying solutions.